"The importance of the sacred place of Thiruvannamalai in Tamil Nadu lies in the secret of its being the centre of the Thejo-lingam kshetra and in its being the secret abode of the Supreme Lord Shiva in his elemental form of fire. While the celebrated linga adorns the Temple of Arunachaleswarar, Skandapurana comes out with the exciting fact that the mountain of Arunachala is itself the present version of the original fiery linga in the form of a pillar that confronted Brahman and Vishnu in times of great antiquity, the Lord have settled himself in the form of the mountain in order to bless all beings who go round it. He is the august Divinity living seemingly silent as a pradakshina priya. But those who have gone round and worshipped him know he is not silent but verily vibrant as a beacon of light—as a Jyoti sui generis. 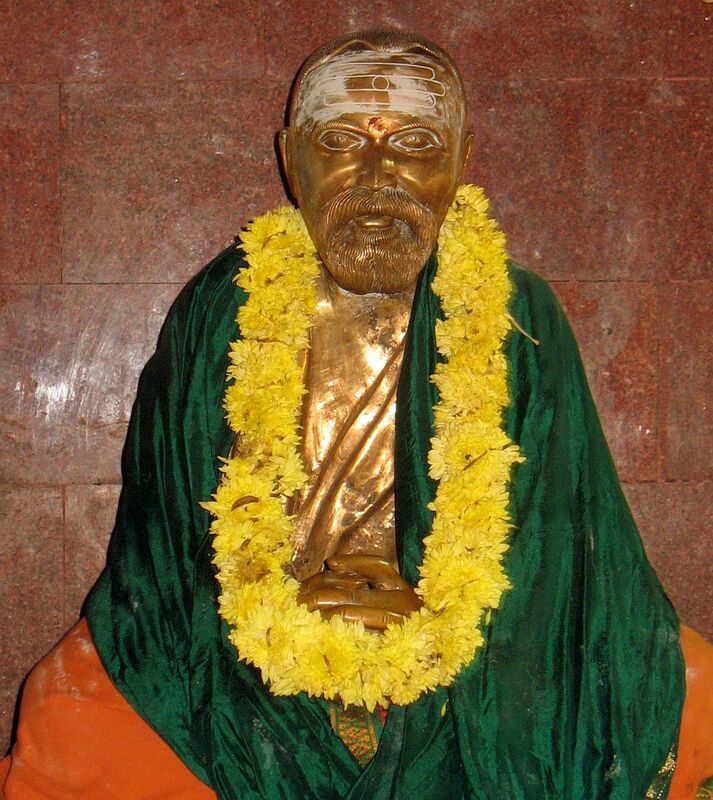 The great one who first beckoned me through the emerald route leading to the sanctity of Arunachala was none other than Bhagavan Sri Seshadri Swamigal himself. Early in the 1970’s, I had not even heard of his name. 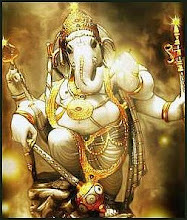 But one day, as I was meditating in Bangalore in the early hours of the morning his effulgent figure appeared before me. The thajasic vision with the golden face and form was such that I had no two opinions about his being a great one. I was only keen on the identity of the central figure of my visionary experience. It was only when I saw his portrait on the same evening in a great devotee’s place that I came to know about his identity. I thanked him silently for his kindness of the type that has no parallel in this world. As I learn that his Samadhi and abode of tranquility glorified Arunachala, I embarked on a pilgrimage to the Ashram shortly thereafter. It was past midnight when my friends and I reached the Samadhi. After about two hours of rest, I work up early and found that the whole landscape around was totally plunged in darkness because it was a New Moon day (Amavasya); even the electrical lights were not visible but it was not dark in one spot behind Seshadri Ashram at the foot of the mountain of Arunachala. A huge elliptical ball of brilliant light stood from the ground to a gigantic height. The sight of what I would like to call Aruna-Jyoti was also shared by another who came out with me at the same time. The Jyoti vanished after two minutes. I should hasten to add that the Jyoti of Arunachaleswarar is not confined to any particular form or denomination. Everything depends upon His will, grace and illimitable kindness. Indeed, the Lord is everywhere inside every jeevan, inside the mountain of Arunachala and outside. What makes visits exciting is the rewarding experiences of the Jyoti—thanks to Arunachaleswarar’s manifestations of his Jyoti-maya form. What is even greater about the Lord is that, as the scriptures proclaim, he is visible in his Jyoti state both in the Antarmukha and Bahirmukha—in the microcosm and the macrocosm. The Jyoti that becomes visible either as a result of the grace of Sree Seshadri Swamigal or Sree Arunachaleswarar is so variegated that no one can say anything precise about a great God who defies description. 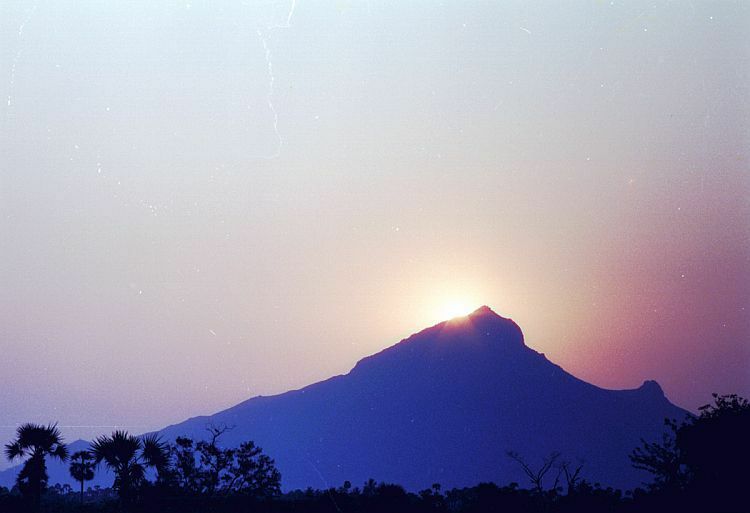 But it can be categorically asserted as emphasised by Skandapurana that Arunachala offers more vivid experiences of the celestial light or Jyoti than any other kshetra. Perhaps the most spectacular of the Jyoti phenomena is the aurora of Arunachaleswarar emerging from the top of the mountain in a fantastic cluster of rays beaming to great heights in all directions. This was visible once on the eve of our pradakshina from Sree Seshadri Swamigal’s ashram as the starting point of pradakshina. What is significant is the same aurora in miniature form is sometimes also visible from the top of the jyotirlinga in Arunachaleswarar Temple." I arrived at Tiruvannamalai twenty years ago by a late evening bus. I had been sent here by my own guruji, Sri Sathya Sai Baba, and had only the vaguest idea about the hill Arunachala. I also knew a little about two of the more famous saints, Sri Ramana Maharshi and Yogi Ramsuratkumar (who a friend of mine visited in the mid 1980’s.). Other than that I had little information or knowledge. On the bus a retired Police Inspector took me under his wing and expressed concern that I had no knowledge of the area or thought of where I would put up on arrival. It was he that kindly took me to the ashram of Sri Seshadri Swamigal and arranged my lodging with what was then a very small ashram with only minimal accommodation facilities. 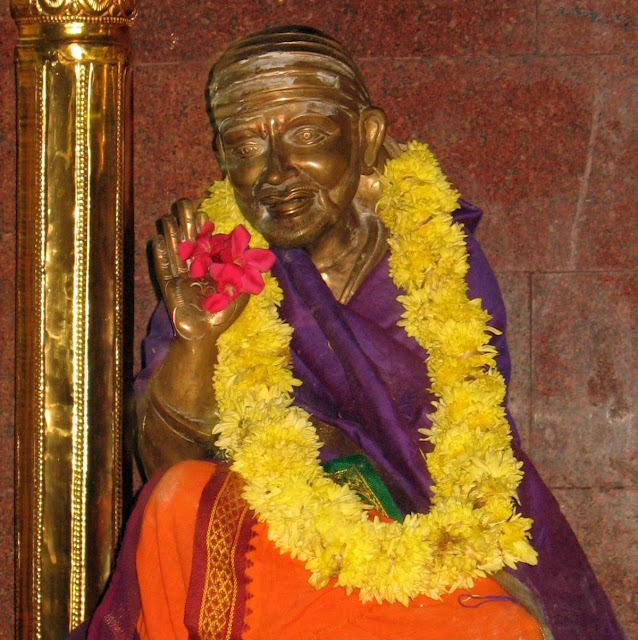 I stayed ten days at the ashram of Sri Seshadri Swamigal and received guidance and inspiration throughout my time both at the samadhi of the great soul and also from sitting in what was then very pretty ashram grounds. I bow to the karma that led me to this great soul and unto his loving protection. It was he that welcomed me to Arunachala and provided the beginning of my knowledge and connection with the great Hill.